Alanis, who does the podcast for CrimethInc. Ex-Workers’ Collective, with her partner in crime Clara, did a really thoughtful review of the current issue of Perspectives on Anarchist Theory (n.28) in their most recent broadcast. We excerpt it below, and provide links to the broadcast, the full transcript of the show, and to CrimethInc.’s website as well. Thanks comrades! 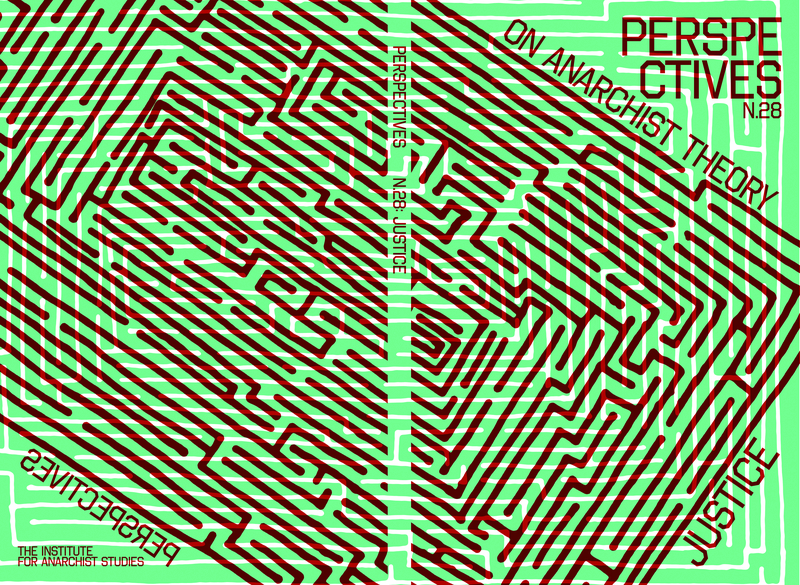 Perspectives on Anarchist Theory’s recent issue tackled the theme of “Justice” – quite a can of worms for the contemporary anarchist! The journal opens with a reflection on the theme written by the editorial collective, and quickly sets a thoughtful and inquisitive tone as it explores different dimensions of what justice might mean to anarchists in political, economic, ecological, and intra-movement or community contexts. It uses a series of rhetorical questions to prompt readers to examine our thoughts and values relating to justice without authority and the practical challenges posed by social oppression and reliance on state structures. While I sharply disagreed with their partial defense of certain principles of the US’s adversarial legal system, overall I found the introduction to be highly thought-provoking, and an excellent lens through which to read the forthcoming pieces. The opening article from Sarah Coffey offers a synthesis of interviews she conducted while working as a legal observer with a wide range of local participants in the Ferguson uprising. It foregrounds the voices of the folks on the ground while exploring the range of divergent perspectives and experiences of those who came to the streets after Michael Brown’s murder at the hands of police. From Layne Mullett, an activist with Decarcerate PA, comes an article titled “Brick by Brick: Creating a World Without Prison,” which I found to be one of the most comprehensive summaries of the anti-authoritarian critique of the contemporary prison industrial complex I’ve encountered. I’d love to see it circulate as a separate zine, especially for books to prisoner groups and general anarchist outreach. Brooke Reynolds from the Jericho Movement contributes a profoundly compelling analysis of the hunger strike as a political tactic, as deployed by “war on terror” prisoners in Guantanamo and Palestinian prisoners in Israel. Its thoughtful analysis, punctuated with defiant statements and moving poetry from prisoners, proved one of the highlights of the journal for me. In particular, its unflinching deconstruction of a US Army manual on procedures for dealing with hunger strikers was both so viscerally horrifying as to be almost unreadable, and yet also a moving testament to the unbreakable will of resistant prisoners in the global police state. Another highlight was Brad Thompson’s article “Breaking the Chains of Command: Anarchist Veterans of the US Military,” which drew on his interviews with former soldiers and army personnel who had become radicalized and emerged from the military as advocates for resistance, highlighting their voices while drawing some careful but insightful conclusions. I’d especially recommend it to folks living in towns with military bases who want ideas on how to connect with potentially radical service members. The issue also includes pieces that address community accountability efforts and domestic violence; a critique of Deep Green Resistance, the discredited ecological organization led by Derrick Jensen and Lierre Keith; and two well-written book reviews. All in all, the journal is a credit to the editorial collective and to the IAS’ mission of advancing thoughtful anarchist discourse. MacPhee’s design is elegant and creative, making it a pleasure to look at as well as to read. At 134 pages, bound neatly by Eberhardt Press in Portland, Oregon, it’s a solid but not intimidating read. While I had critiques of and disagreements with some of the pieces, all of them reflect a high level of quality in the writing and editing, and together offer food for thought on a range of issues. It’s worth mentioning that the theme of “Justice” is interpreted quite loosely; all of the pieces do relate in some way, but with a theme so broad, it’s hard to imagine any anarchist discussion that wouldn’t at least tangentially connect to “justice.” The thought-provoking questions set out in the introduction about the nature of justice within a framework of anarchist values and institutions remain largely unanswered, which I was sad about at first – mostly just because I found them to be so fascinating, as well as timely and pressing! Still, that’s not a critique of the pieces that do appear, which offer valuable insights into various topics. Hopefully future anarchist writers and theorists will take up these questions and travel further in the directions indicated in the introduction. All in all, Perspectives on Anarchist Theory is well worth a read for anyone interested in insightful reflections on contemporary struggles from an antiauthoritarian viewpoint. The forthcoming issue N. 29, which should appear this spring, will be on the theme of “Anarcha-Feminisms,” so I’m definitely excited to see that. You can order the print version of Perspectives, including back issues, by going to AK Press here! To hear the full CrimethInc. Ex-Workers’ Collective broadcast, #46: International Anarchist Reflections on the New Year, go here! To read the full transcript, read here! The CrimethInc. 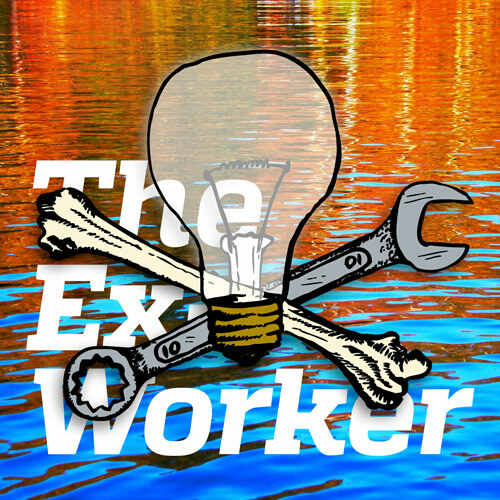 Ex-Workers’ Collective (CWC) is a decentralized anarchist collective composed of many cells which act independently in pursuit of a freer and more joyous world. For more information on CrimethInc., Go Here!